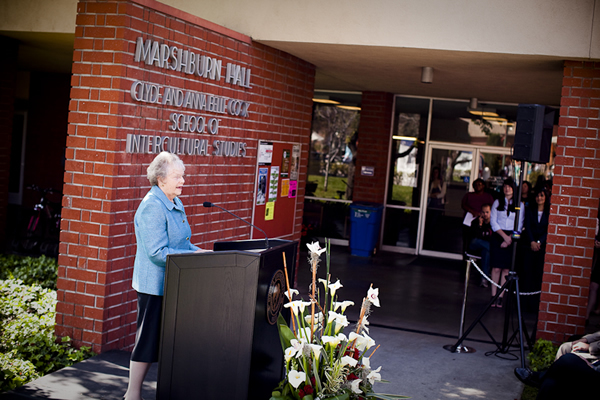 In honor of its 25th Anniversary, the School of Intercultural Studies held a ceremony to name the school after Clyde and Anna Belle Cook. 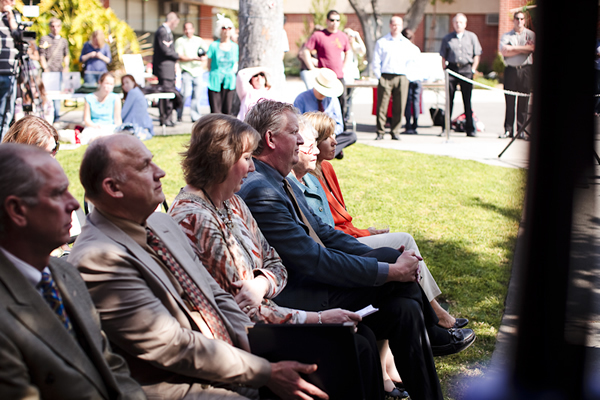 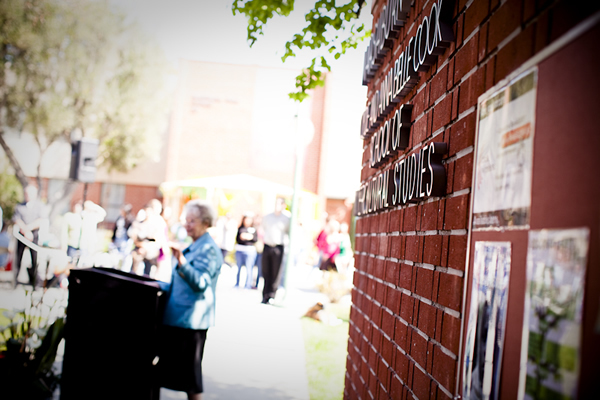 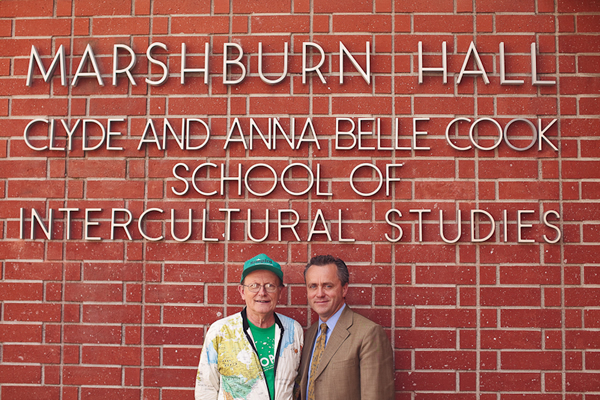 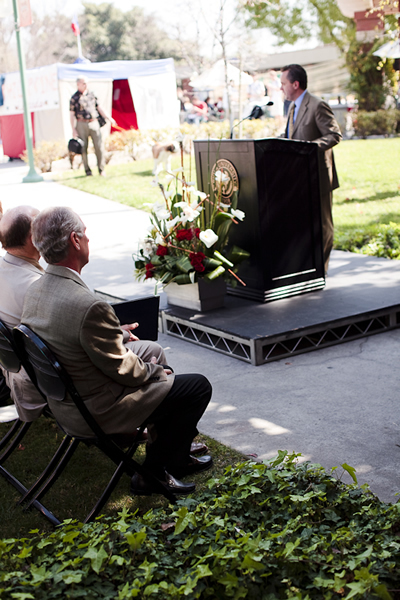 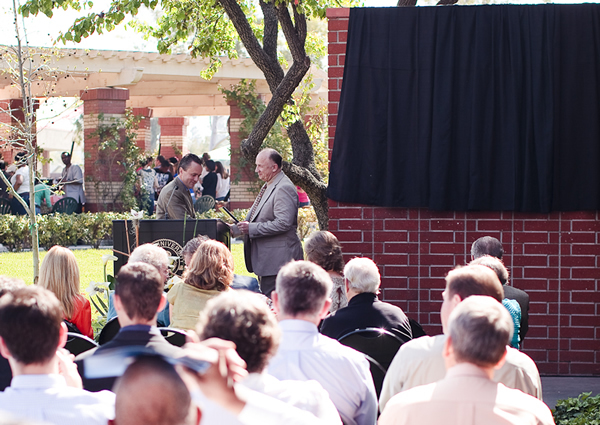 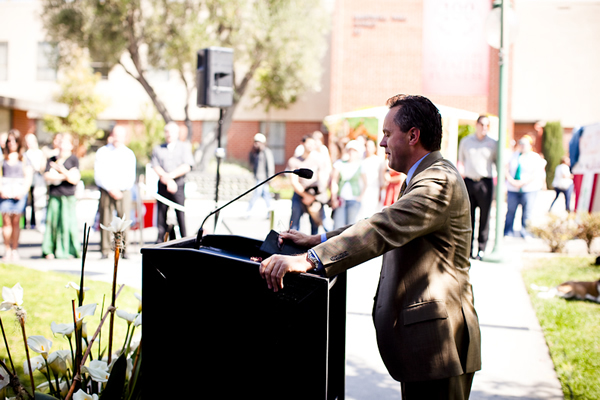 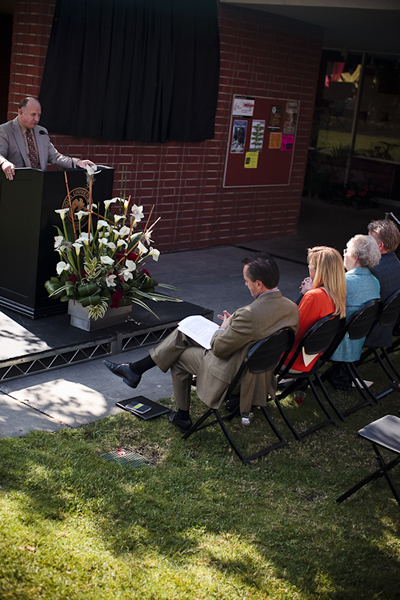 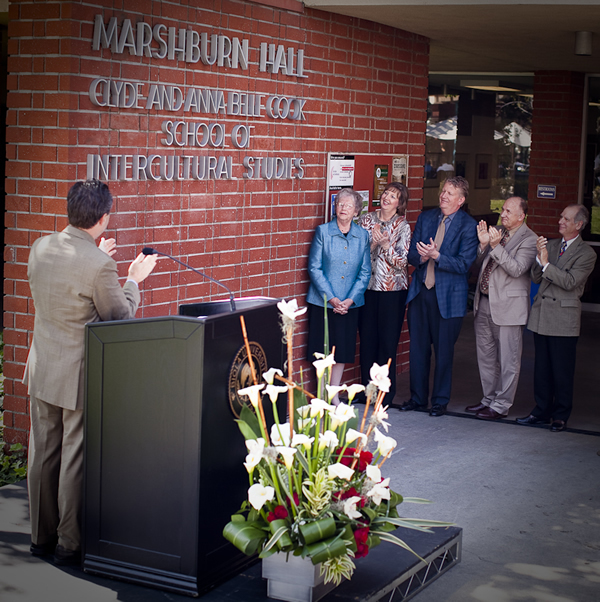 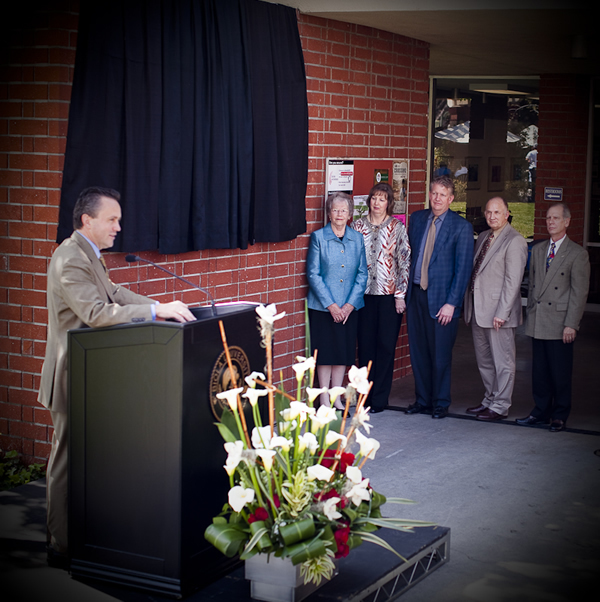 On Wednesday, March 18, the Biola community came together for a special unveiling of the Clyde and Anna Belle Cook School of Intercultural Studies, honoring the legacy and service of Clyde and Anna Belle Cook and celebrating the Silver Anniversary of the School of Intercultural Studies. 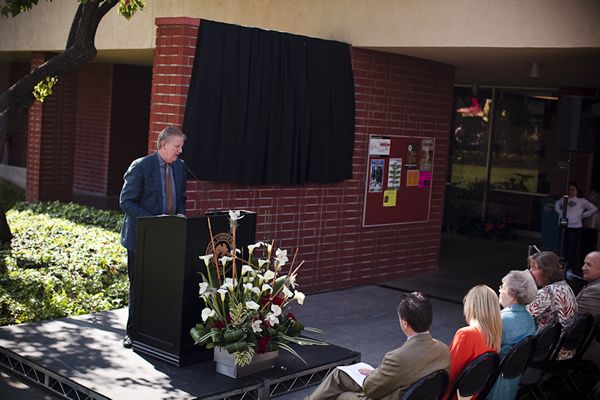 President Barry H. Corey shared about former President Emeritus Clyde Cook's involvement with the School of Intercultural Studies, followed by SICS Dean Doug Pennoyer. 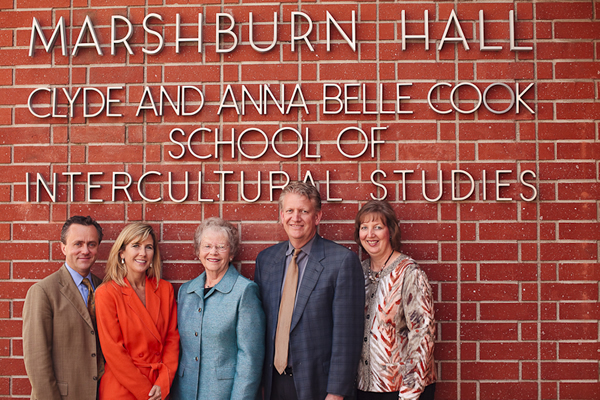 The Cook's children, Craig Cook and Laura Botka thanked Biola University and shared many personal memories the family had shared at the School of Intercultural Studies. 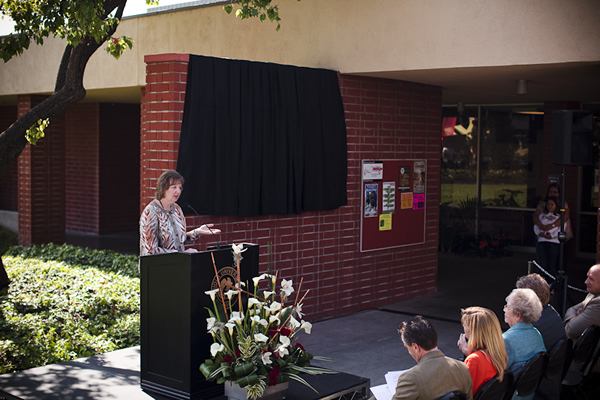 Following the official unveiling of the school's new name, Anna Belle Cook thanked the crowd for their love and support and shared on behalf of her family and her late husband. 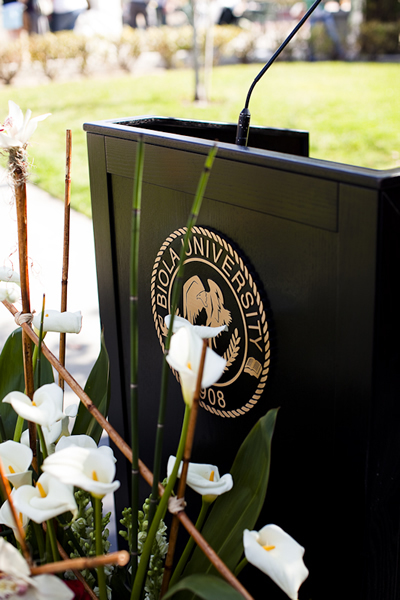 The Naming Ceremony was especially fitting as Clyde and Anna Belle Cook devoted so much of their lives to missions through Biola University.